Niila Kantha Divas was celebrated with one and half hours kiirtan at Pundag Railway Station by all didis, dadas and margii brothers and sisters on 12th February 2016… On this auspicious occasion We distributed 2000 packets of germinated Bengal gram. More over AMURTEL has also done very good service to people flood hit areas of Udhampur, Rajauri, Anantanaga, Srinagar and Jammu. 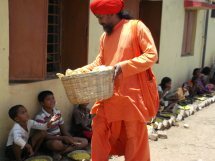 It is for your information that Shravanii Purnima was observe with great enthusiasm to day on 10th of August 2015 in AMURT Bhavan complex… On this auspicious occasion of Shavanii Purnima two hundreds poor tribal families of 52 villages around Anandanagar were benefitted. Were given mosquito nets and umbrellas… It is to be noted that 75 years ago first initiation (the first to learn meditation in Ananda Marga) was given by Baba to Kalicharan Benerjee who was known as Kalikananda Avadhuta. A wonderful program was organized in AMURT Bhavan Complex on 14th and 15th May 2014 to celebrate the 93 birth anniversary of Lord Shrii Shrii Anandamurtiji. 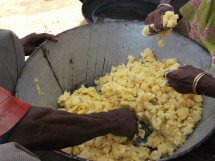 52 village school teachers were given school uniforms, 150 saris and 150 dhotis were given to poor old men and men of 52 villages around Anandanagar to mark this auspicious occasion. 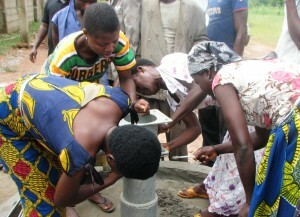 It was really a memorable day for all. 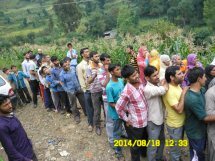 Three hours kiirtan was held before starting the program in AMURT Bhavan complex where all the programs took place. Some photos are being sent for your information. 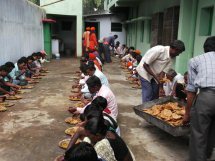 Mass feeding was held to day 11-05-2014 in Anandanagar. 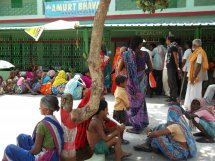 Medical Camp was held today on 04-05-2014 at Anandanagar in AMURT Bhavan complex in which 86 patients from long distance remote villages came to get treatment and medicines. 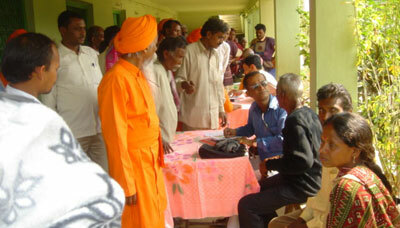 All the patients were attended by six doctors including Dr. P.D. Singh and Dr. Karuna Sahadev from Ranchi. 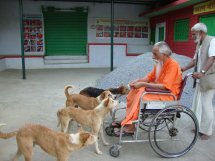 It was a very good service to poor patients by Baba’s Grace. 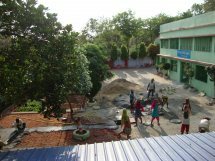 I am to make an appeal to extend your help to AMURT Anandanagar for its construction work in its own complex and multifarious service activities in Anandanagar. With my best wishes and regards to all. 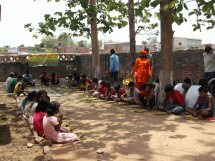 Narayan Seva was held today on 13-04-2014 More than 250 poor children, old men and women of Singhaghara, chaukibera,hathinada, Pundag. 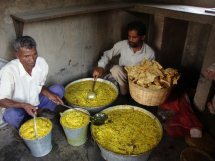 Dadikuri and Shalgram villages were fed with Khichuri, Papad and chokha. Some photos are being sent for your information. 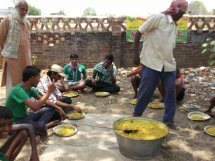 The volunteers who took part in distribution of hot meals to thepoor people in AMURT’s Mass Feeding Centre near Pundag Railway Station, are Bankim Mahato, Subhash Mahato, Panchanan Mahato,Brihaspati Kisku, Budhani Gorai, and Dada Pracetananda Avadhita. 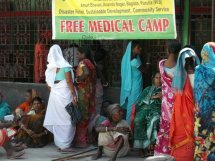 Today on 6th of April 2014, one medical camp was organized in AMURT Bhavan in which more than one hundred thirty patients were treated by our Doctors who came from Ranchi and other places. They are Dr, PD Singh, Dr. Karuna Sahadev, Dr. Ananda Kumar Sahadev, Dr. 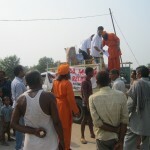 Misses Dr Ananda kumar Sahadev, Dr. Mihir Kumar and Ac. 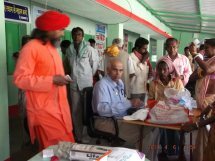 Dr. Pracetananda Avadhuta who actively took part in in treating all the patients who came from different distance places. 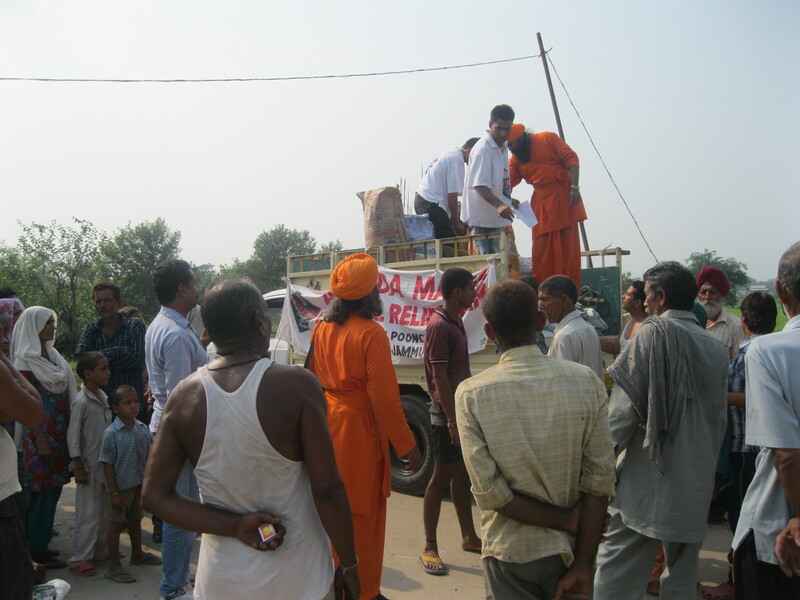 Free Medicine s were also given to all of them. With my best wishes and regards to all of you again.